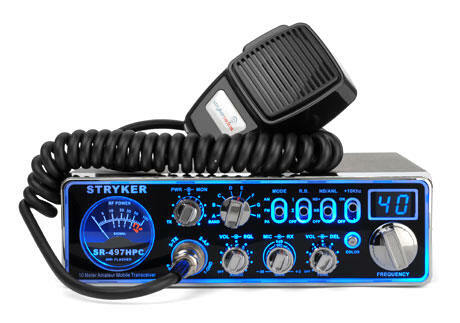 The Stryker SR 497HPC is the big brother to the SR-447HPC 10 Meter Amateur Radio. Designed for class-leading power with 90+ watts PEP, this device is loaded with a slew of features to add functionality to one’s set. Although it costs bit hight, this radio has been aimed at users who want value and performance for the money they have put in. In short, this is the best CB radio ever made to step into the world of heavy-duty two-way communications. 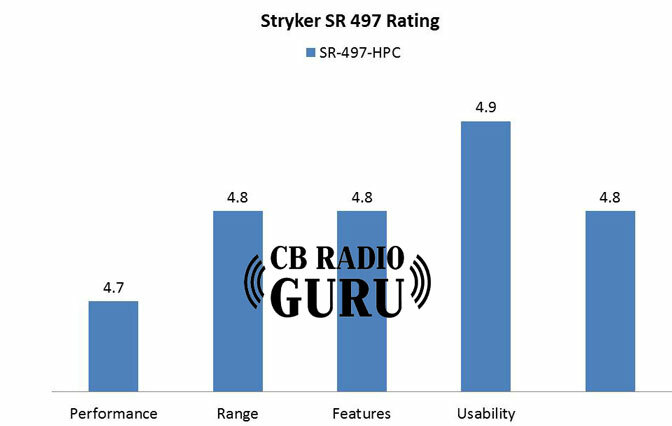 The Stryker 497HPC has got the best in class power output and top of the line features. Known for its professional quality, the Stryker 497 has been built for real life use being an excellent two-way radio. If you’re ready to step into the world of heavy-duty two-way radios, best consider Stryker 497 CB Radio for uninterrupted communication on the 10-meter radio band. If you’re ready to step into the world of heavy-duty two-way radios, best consider Stryker 497 CB Radio for uninterrupted communication on the 10-meter radio band. One of the striking features of this Stryker radio worth mentioning is the simplicity of controls. You will see double pot switches combined with a well thought out companion control. Stryker 497 sports the changing and dimming face light feature which looks nice. Furthermore, it serves as a standout feature allowing ease of use even during the darkest operating conditions. These radios are the best radios money can get you. They are powerful and beautiful and proves to be good listeners. 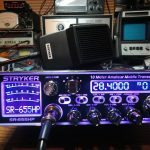 Stryker 497 CB radio is a high power radio with digital echo controlled via front-mounted controls and reproduce the human voice with little or no distortion. The meters on the radio are also large and easy to read. The SRF/Power meter is a signature quality of the radio, which will flash on and off when high SWR readings are detected. During transmit for any color combination, the meter lighting can be set differently from the faceplate backlighting. Another key aspect of the interface is 7 different color system. The color button lets you choose from seven different colors as well as dimming and TX meter colors, even the channel digits could correspond with the choice of your preference. 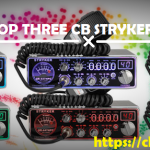 Moreover, the Stryker CB radio has a color button which lets you choose from seven different colors as well as dimming and TX meter colors, even the channel digits could correspond with the choice of your preference. Above all, the radio has astonishing features that are customarily only available on much more expensive radios. With a 1/4in thick aluminum heatsink on the inside and a very generous finned sink on the outside, heat distribution has been managed very effectively in this device. It also sports a fully automatic fan that blows directly on the finals every time the key is dropped. The variable talkback option is also impressive. Two selectable Roger beeps on this radio is an exclusive feature of this impressive CB radio. This is one such feature that differentiates the CB from other manufacturer’s radios. The radio has got great sound quality and is very easy to install. Similarly, it is fairly loud and holds up well. The stock mic on the radio might not sound really great, but if you could replace it with a noise canceling Astatic, it could sound great. Great features like multiple step dimmer, variable power control, up-armored receiver etc. 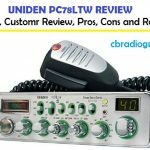 We CB Radio Guru gives a rating of 4.8 to the CB radio. The user interface is the main striking feature, as per our experience. 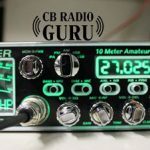 Adding to it, Features, range and value for money are other top aspects of the CB radio. The Stryker 497 HPC Radio from Stryker is the finest in its class 10-meter radio for power output and professional quality. It is one of those flawless two-way radios out there in the market. 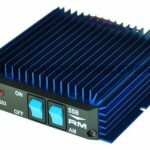 The bulk of features ranging from two selectable roger beeps to digital echo and variable power control makes this a favorite of professionals. 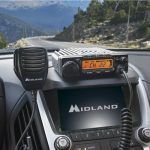 Although the stock mic and the absence of frequency counter might be a downside, the radio gives you the bang for the buck considering the smooth operation and handy features. To conclude, if you are trying to foray into the world of heavy-duty two-way radios, you should set your eyes on the SR-497-HPC.